ABS announced investments in Singapore that will strengthen engineering and survey capabilities and lay the foundation for strategic global initiatives. 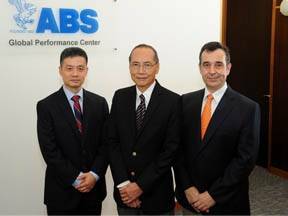 Recognizing the growing role played by Singapore in the marine and offshore industries, ABS is expanding its operational workforce, increasing research and development (R&D) efforts and establishing a Global Performance Center in Singapore. "ABS has worked alongside industry, academia and government in Singapore for more than 50 years," said ABS President and CEO Christopher J. Wiernicki. "We are moving in step with Singapore as it continues to expand its presence in global trade. These investments represent a continuation of our long-term commitment to Singapore, elevating its significance as an integral part of ABS' future." ABS will build on operational expansions that began in 2012 by increasing staff and capabilities in Singapore to address the challenging technology requirements of marine and offshore operations. Leveraging the success of the Singapore Offshore Technology Center, established in 2006, ABS will add to its considerable research efforts with the creation of the Singapore Innovation and Research Center (SIRC). SIRC will expand R&D activity to include marine operations and performance management. "At a time when operations are moving into increasingly demanding frontiers and industry is looking for ways to address environmental regulations and improve energy efficiency, there is an urgent need for solutions developed through R&D that are backed by real-world experience," Wiernicki said. "SIRC will target innovative solutions that can be put to work across the marine and offshore industries." SIRC also will be involved with the recently announced ABS-MPA Maritime Technology Professorship Program at the Singapore University of Technology and Design. This ABS initiative will promote marine and offshore-related research and education in Singapore. 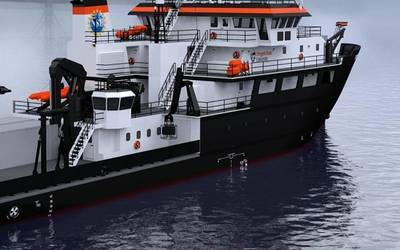 At the same time, the ABS Global Performance Center will address industry needs in operational performance and energy efficiency, assisting clients in solving operational challenges throughout the life cycle of a vessel or offshore asset. Together, SIRC and the Global Performance Center will be vital to implementing ABS' Class of the Future, which will focus on the next generation of safety performance and management systems. "The ABS vision for the Class of the Future represents a dynamic shift in how the classification process works, and Singapore will be an essential part of our long-term plans," Wiernicki said. These initiatives represent a significant investment in Singapore and will expand the existing workforce, primarily through local recruitment of engineers, surveyors and researchers.